This isn’t your average squash. Not like zucchini or yellow squash, winter varieties are likely not as rampant in your garden at the end of summer. Interestingly, in Tanzania (today’s my last day here – sniff, sniff), squash and pumpkins are everywhere. They seem to be naturally sweeter, serving them with only a touch of ginger or some coconut sauce is sufficient. Of course, the island of Zanzibar is known as “Spice Island.” In addition to fresh ginger, there are ample cloves, cinnamon, allspice and vanilla to add to your squash if you want and perfect for pie-making especially at this time of year in the US. This recipe, adapted from Reader’s Digest of all places, is more savory than sweet and extremely simple and delicious. But with cream, cheese and garlic, how could it not be great? Preheat oven to 400 degrees. Cut the squash in half. To make them sit straight, cut the bottom (or top as the case may be) so it is even. Scrape to remove seeds. Sprinkle with salt and pepper. 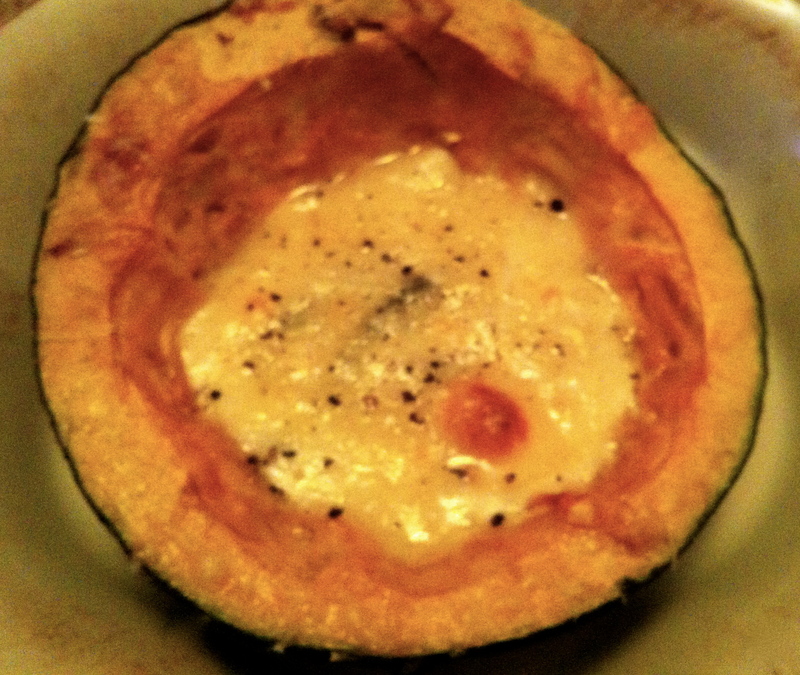 Place in baking dish and fill with water to cover half the squash. Over medium heat, combine cream, garlic, sage and ginger in a small saucepan just until hot (but not scalding). Pour mixture into the squash halves, as equally as possible. Bake for 45 minutes to an hour or until soft. Then top with cheese and bake for another 10 minutes until golden.